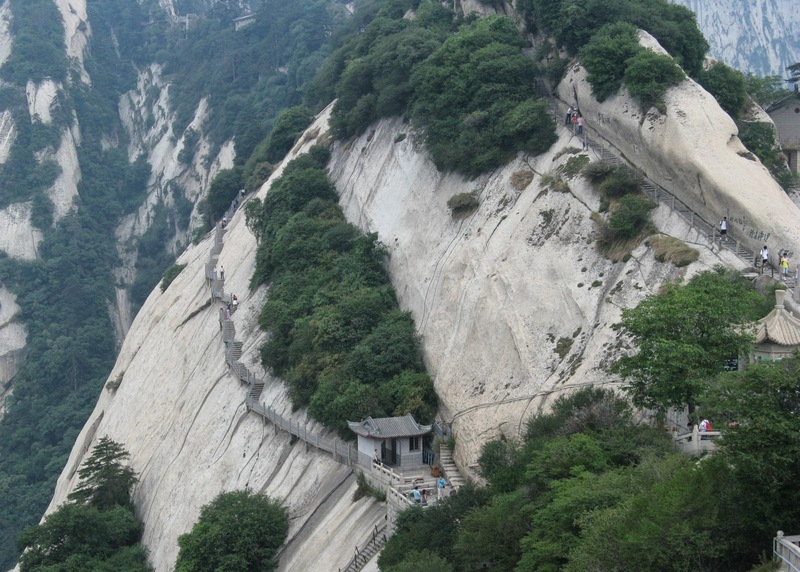 Mount Huashan is located 120 kilometers of east to Xi'an, is a beautiful tourist location. 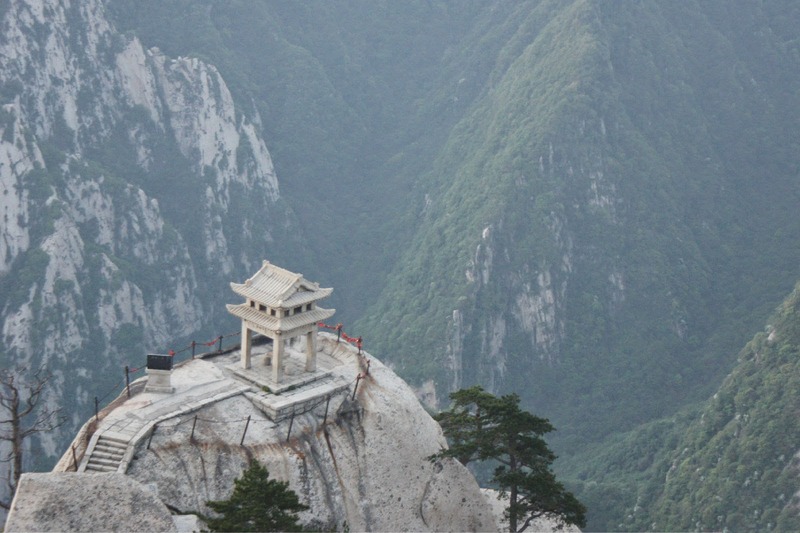 It is also called as Hua Shan or Xiyue in Chinese and having the literal meaning as "Western Great Mountain". 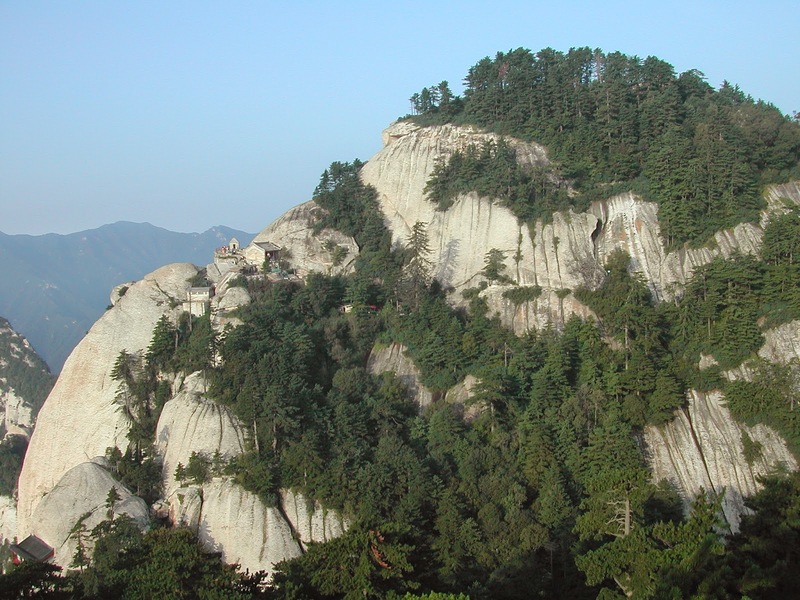 Situated in the Shaanxi province of Peoples Republic of China, this is considered as one of the five Great Mountains. It has lot of religious importance and having five important peaks. The highest peak is 2,154.9 meters above sea level. The peaks are named as East Peak, West Peak, North Peak, South Peak and Middle Peak. Each peak is having its own identity in character with gorges and cliffs. Tourist can throng to the peak and watch the nature's artistic wonder of Sun rise. South Peak is the highest peak among all peaks. West Peak is considered as the most beautiful peak with its picturesque locations and pristine surroundings. Watching sunrise from the East Peak would be a fabulous experience. Hence, East Peak is considered as an ideal location to watch sunrise. North Peak is always covered with blanket of clouds. The Middle Peak is very close to East Peak which is also called as Jade Maiden Peak. There are lots of identical believes among different dynasties when it mattered to Mountain and Peaks. They have considered mountains as God or God’s representatives and started worshiping the mountains, building temples and offering sacrifices. One can see lots temples reminiscences especially Taoist temples over the mountains. 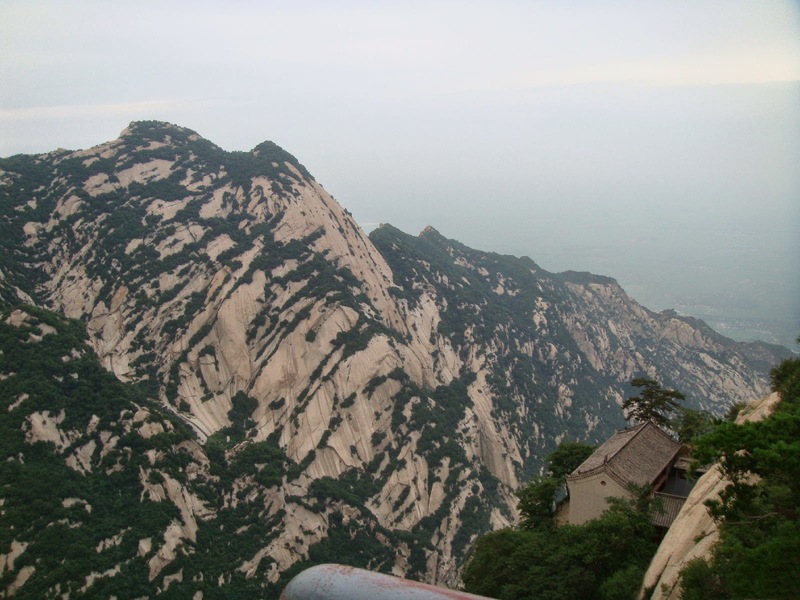 These mountains clusters are considered as sacred land of Taoism. 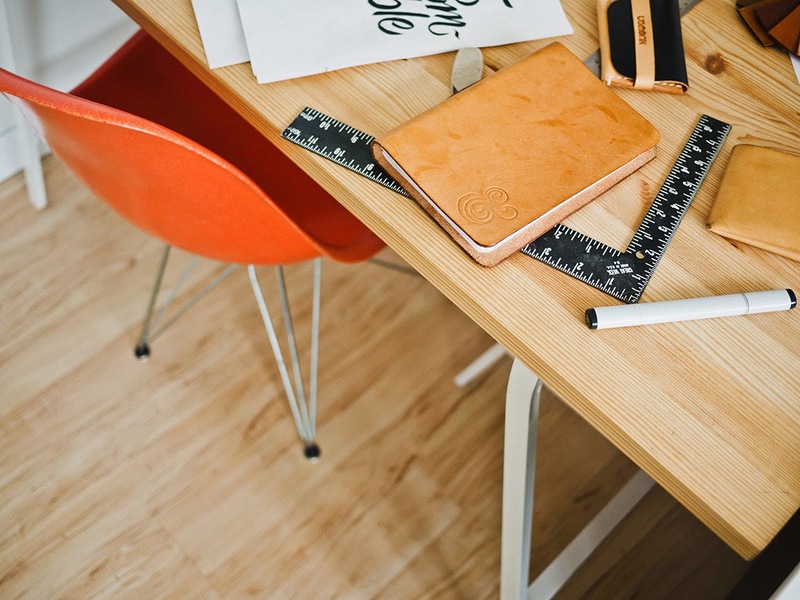 It would be a challenging experience to trek through the tough negotiable routes. Tourists can also experience rope car facilities. Flying through the rope car will give the rare photographic experience of capturing every bit of beautiful moments of the mountain clusters. Your journey starts from Jade Spring Temple which is situated at the base of the mountain. Then trekking up, you can reach to Memorial Archway then to the Five Dragon Bridge. Safe steps are constructed to ease up your journey to the peak. Wooden bridges are constructed on the eaves of the mountain and walking on the bridges increase your adrenalin level. After crossing the Five Dragon Bridge, the ticket issuing offices are located. Various entry fee structures are offered to the visitors. The fee for visiting the peaks, Jade Spring Temple, the beautiful Xianyu location and Xiyue Temple is CNY 180 per head during March to November. Off season rate is CNY 100 per head which falls during December to February. The ticket is valid for two days. Tourist can have round trip bus service for an additional payment of CNY 40 per head. Cable car services are offered for CNY 140 for one way and half way service is also offered for CNY 80 per head. The fee for off season cable car service is CNY 120 per head for one way and CNY 70 for half way. North Peak Cable car fee is CNY 150 per head for a round trip and CNY 80 for one way. There will be off season discount during December to February, where the rate will be CNY 80 per head for a round trip and CNY 45 for one way. 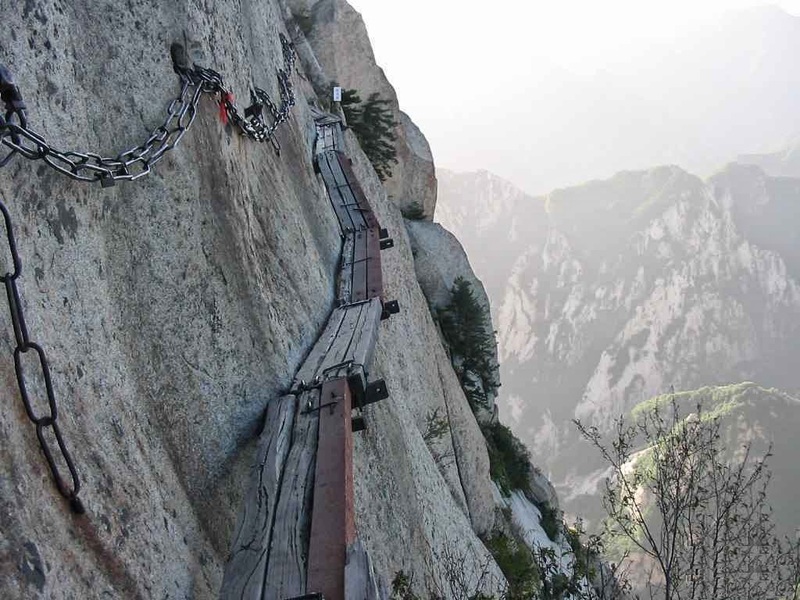 Conveyance to the Huashan Mountain is excellent. There are bullet train facilities from Xian to Zhengzhou and tourist can disembark at Huashan North Railway Station. Special buses services are available from the Railway station to the mountain. Xi'an is well connected with air, rail and bus services. 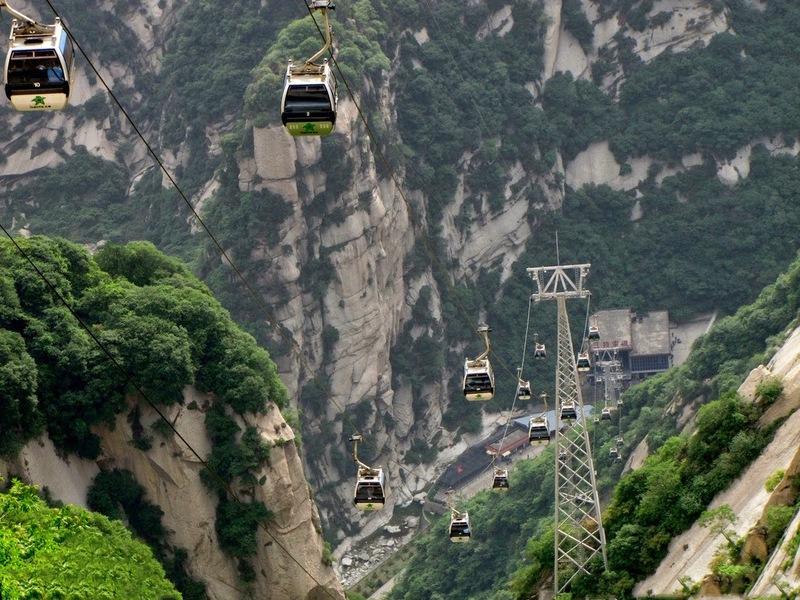 From Xi'an there are regular bus service, taxi and tourist bus services available to Huashan Mountain. 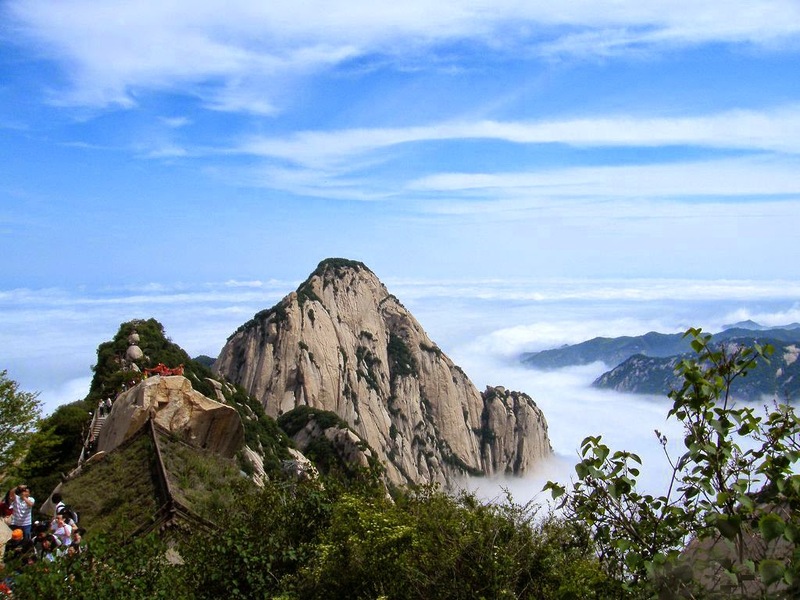 The best season to visit Huashan Mountain is during April to October. Make your trip a fascinating experience by marking your visiting plan during the peak season!